Barley tea isn’t technically a tea but an infusion of roasted barley kernels in water. 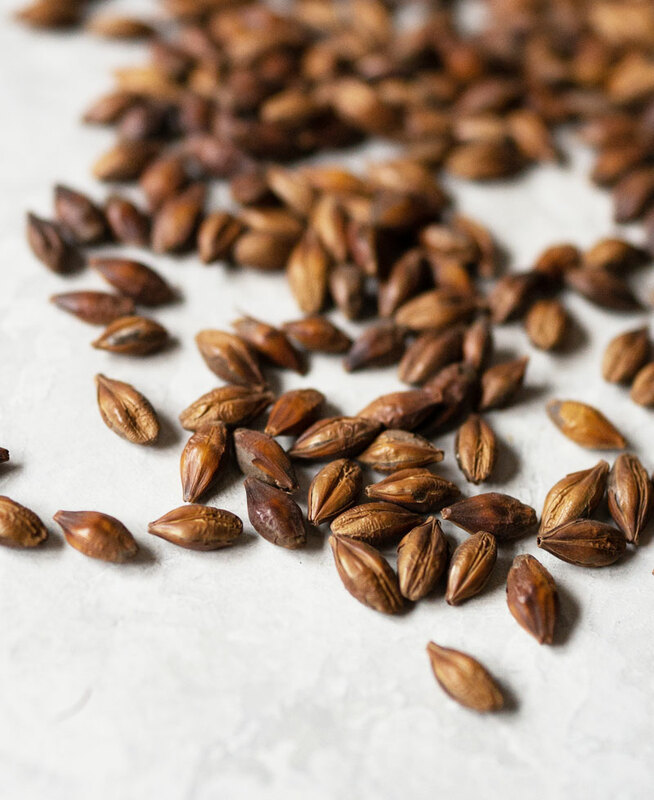 Roasted barley is boiled and steeped in hot water to make barley tea. It’s not a real tea because for something to be called tea, it needs to come from the camellia sinensis plant that all tea is produced from. It’s using the word tea is the loose sense of the word, as in an infusion of a flavor in water. Barley tea is called boricha in Korean and mugicha in Japanese. 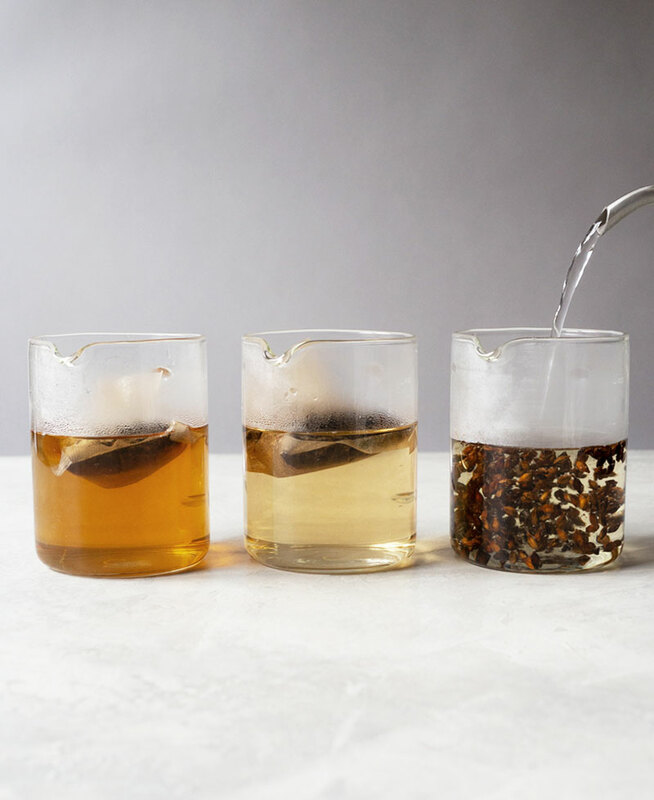 As a Korean-American, I grew up drinking barley tea and still drink it all year-round. I have it hot in the winter and iced in the summer. It’s a staple in every Korean household and instead of drinking water, a lot of Koreans will drink barley tea. 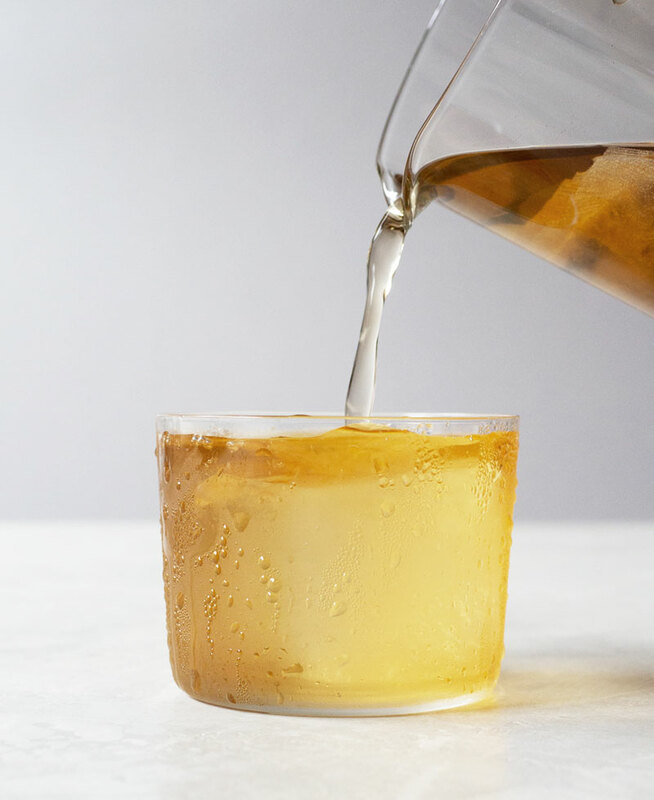 I find it to be especially refreshing in the summer and if I’m thirsty, I find cold brewed barley tea quenches my thirst way better than cold water. A good number of restaurants in Korea will have barley tea if you ask for it or they’ll just serve you barley tea instead of water. Barley Tea has a toasted, nutty taste with a slight bitter note. I hear it’s a bit of an acquired taste. Is There Caffeine in Barley Tea? 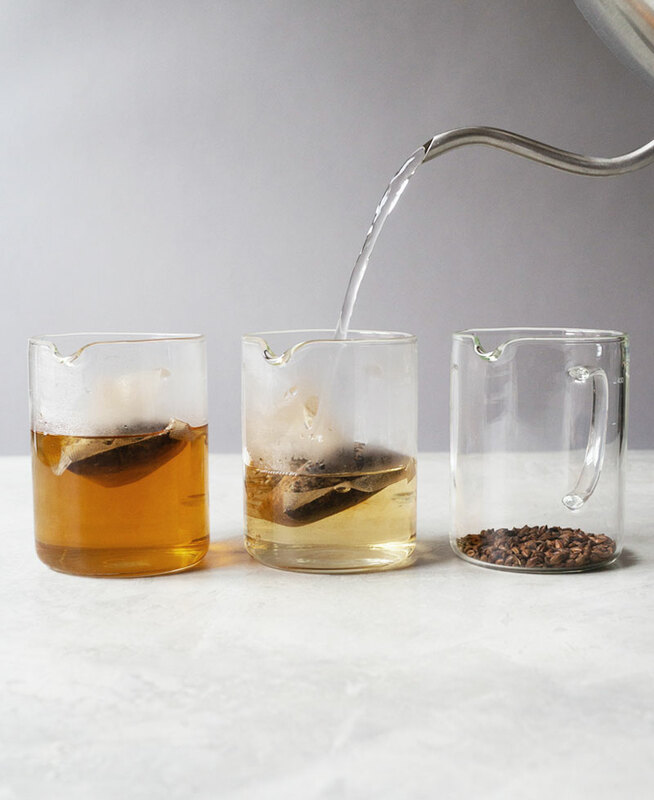 Barley tea doesn’t contain any caffeine which is why it’s great to drink all day and night — it won’t keep you up! How Many Calories are in Barley Tea? Each serving of boricha or mugicha has a whopping 2 calories. Do You Add Sugar to Barley Tea? Sugar isn’t added to traditional Korean barley tea. I never add sugar to mine. What Food Pairs Well with Barley Tea? Barley tea is interchangeable with water for me. 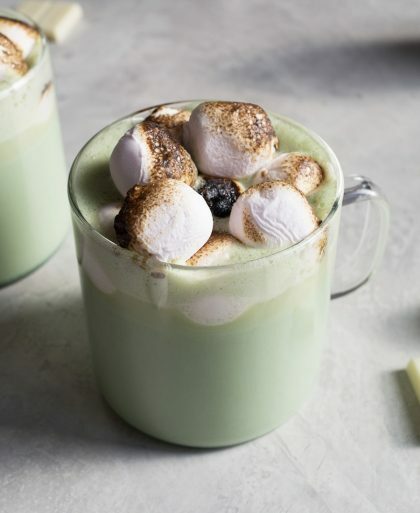 It pairs with everything — savories and sweets. Whether it’s a BLT sandwich, a chicken pho, or a slice of roll cake, it all goes with barley tea. How Should I Store Barley Tea? The Korean tea bags I purchased have the worst packaging for barley tea. There is a plastic covering around the box but once opened, the tea bags are exposed to odor and humidity. 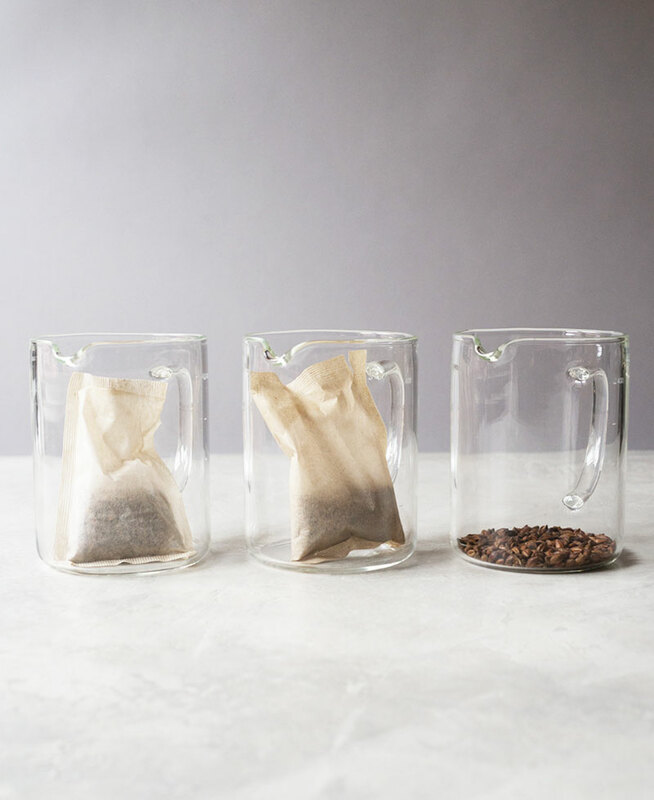 After opening the box, store the tea bags in the box in an airtight plastic bag or in an airtight glass container if you want to avoid using plastic. The Japanese tea bags were much more thoughtfully packaged with sealed foil bags that contained 4 tea bags each in a box of 16 tea bags. For the barley kernels, I like to store the entire bag in a bigger plastic zip bag or put the kernels in an airtight glass storage container. Every Korean supermarket carries barley tea or roasted barley so if you live near one, get it from there since it’ll most likely be fresher and cheaper. If you want to purchase it on Amazon, it’ll cost you roughly double but you’ll see a lot more variety and brands to choose from. 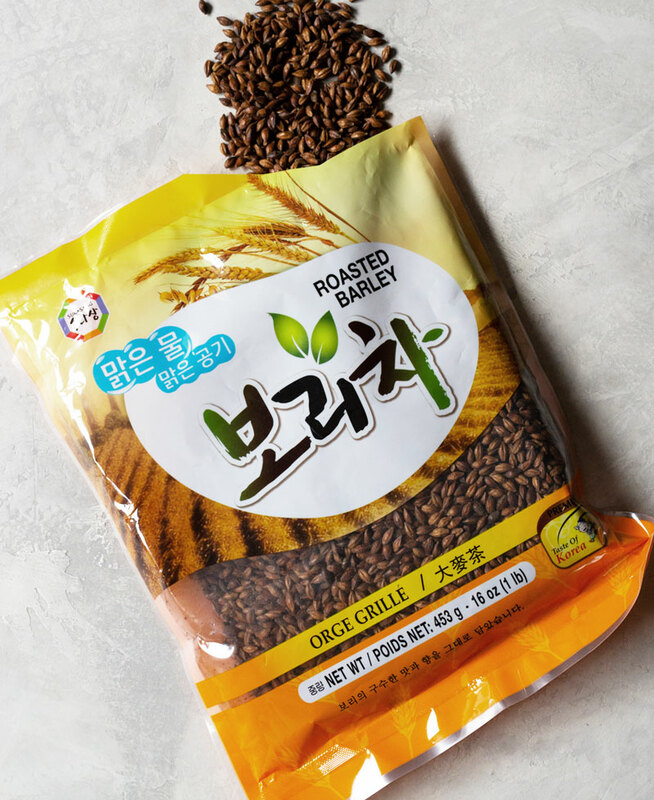 I bought this roasted barley from a Korean supermarket and it was about $3.50 for the one pound bag. When buying barley, just make sure they’re dark brown which indicates they’re roasted. To make barley tea, you can use either whole barley kernels or tea bags. You can make hot tea or cold brewed barley tea from tea bags and it’s much quicker than using whole kernels. I purchased two different kinds of barley tea bags — a Japanese brand (on the left), and a Korean brand (on the right). Each tea bag is for making four cups of tea, not for individual cups. Each tea bag also contains 100% barley, nothing else. Notice that the barley inside the tea bags are kernels that are crushed and broken into small pieces. This is what makes the brewing process so quick. Like regular tea in tea bags, the more crushed the tea, the quicker the tea will brew and show a darker color. 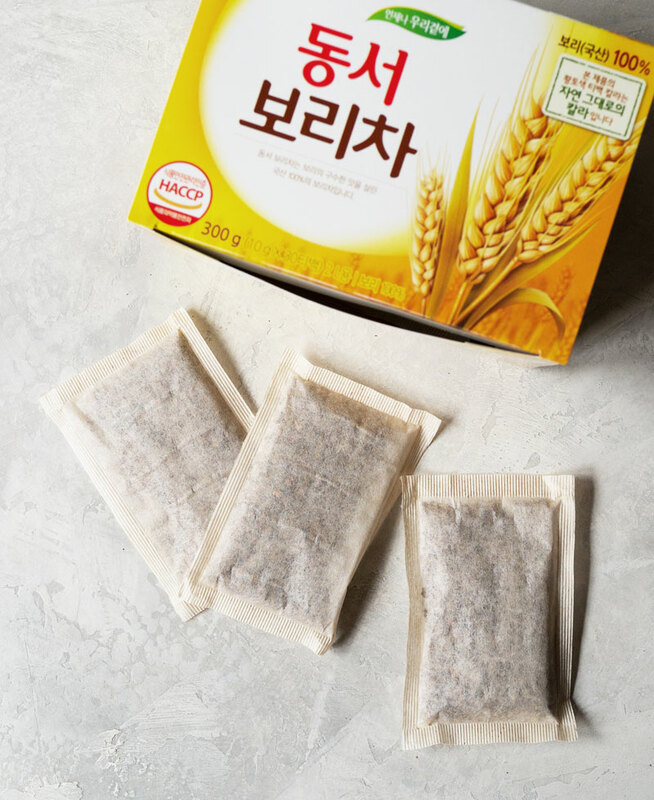 The barley from the tea bag at the top of the photo is the Korean brand and it’s less crushed than the Japanese brand on the right. You can see the size difference between the whole barley kernels versus the crushed ones. Which one do I prefer? For hot tea, I only use whole kernels. In the summer though, I use a tea bag to make cold brew barley tea since it’s quick and I don’t need to boil any water. 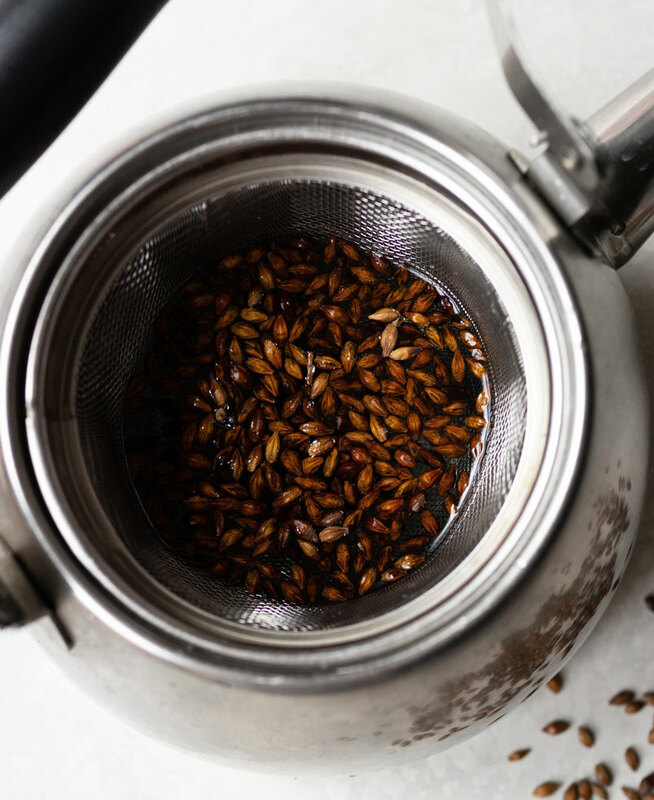 The best way to make hot barley tea is using whole barley kernels instead of tea bags. The basic recipe is 1 tablespoon of barley kernels for every 2 cups of water. Fill a pot or kettle with 4 cups of water. Scoop in 2 tablespoons of barley kernels. Bring the water to boil, then turn off the heat and let it steep for 5 – 10 minutes. Strain out the barley kernels and it’s ready to drink. You can steep it for less, you can steep it for more, the method is very flexible. 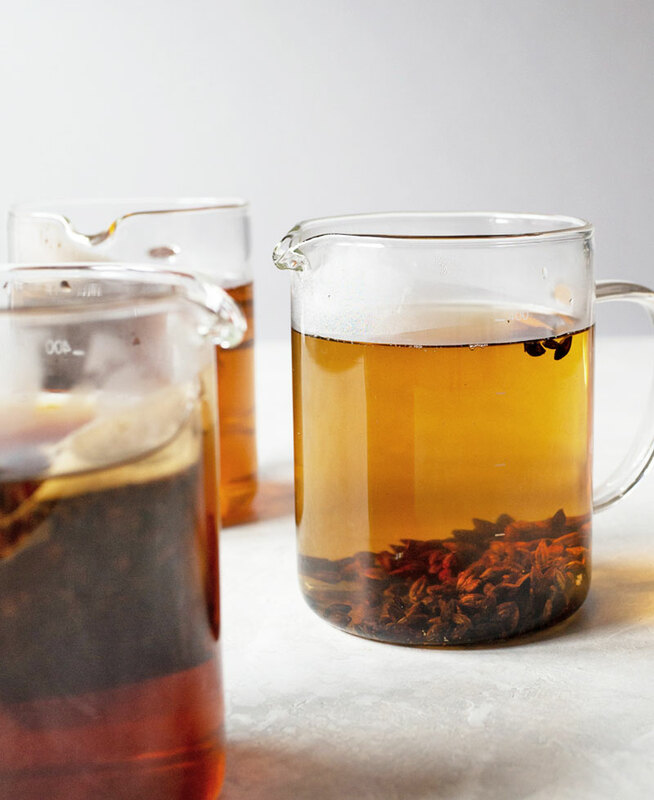 Keep in mind that steeping it for longer will result in a darker color and stronger taste. Because I drink so much of the stuff, I have a special kettle with a giant mesh strainer (similar) that I only use for making barley tea and roasted corn tea (another Korean staple drink). The mesh strainer in the kettle makes it super easy to get the barley kernels out of the water. 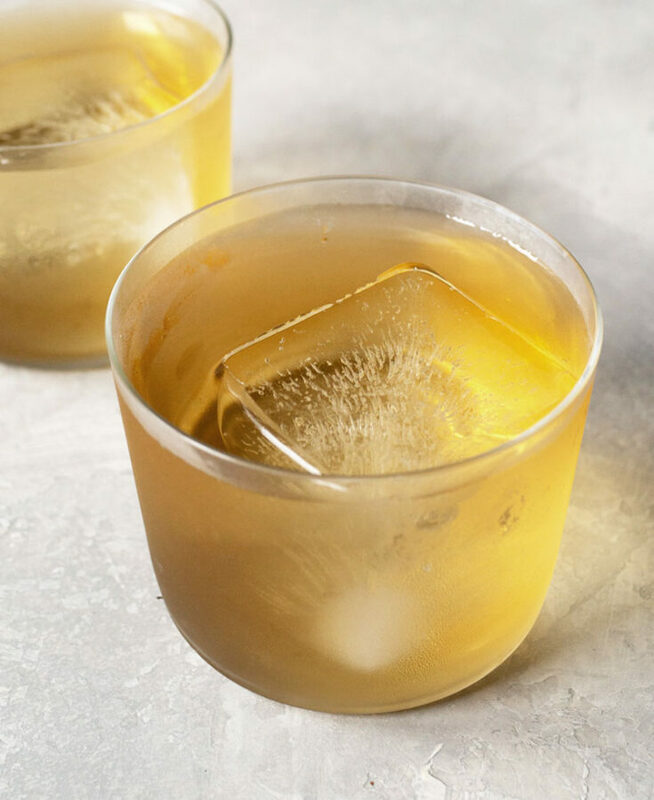 The best way to make iced barley tea is with tea bags, cold brewing it. Each tea bag makes 4 cups, or one quart, of tea. Take a 4-cup pitcher of water (cold or lukewarm) and pop in a barley tea bag. Refrigerate for 1-2 hours. Take out the tea bag and discard. 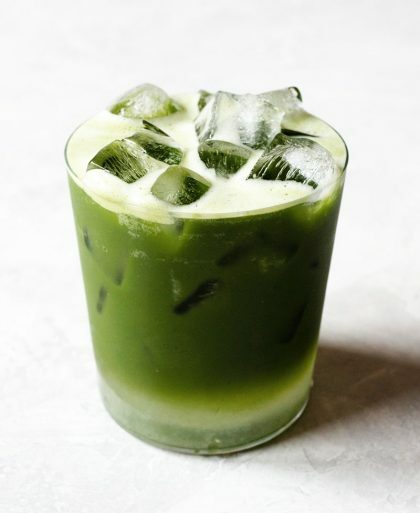 Cold brewed barley tea can be served with or without ice. 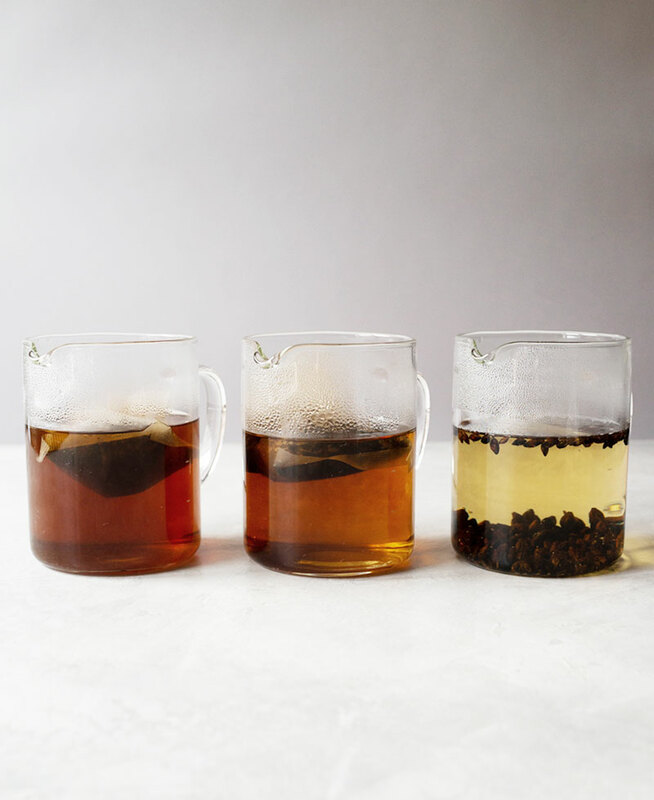 I wanted to do a little experiment to see which of the three barley tea options I liked the best. I steeped each in hot water for 5 minutes and did a taste test. The glass on the left holds the Korean tea bag, center is the Japanese tea bag, and on the right are the whole kernels. The Korean tea bag holds slightly more barley than the Japanese brand so the color turned quickly to brown. After 5 minutes of steeping, the whole kernels were definitely the slowest to turn brown but it had the best taste. The taste of the whole kernels were a lot smoother and milder than the tea from the tea bags. 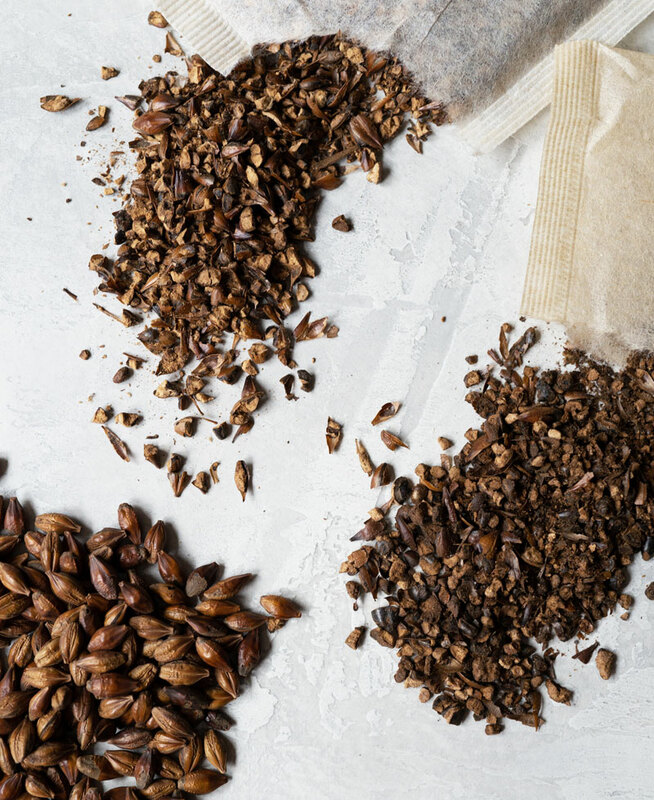 Make barley tea using different brewing methods using roasted barley kernels and tea bags. In a kettle, boil together water and barley kernels. After water comes to a boil, turn off heat and steep for 5-10 minutes, depending on how strong you want your tea. Strain out barley and serve. 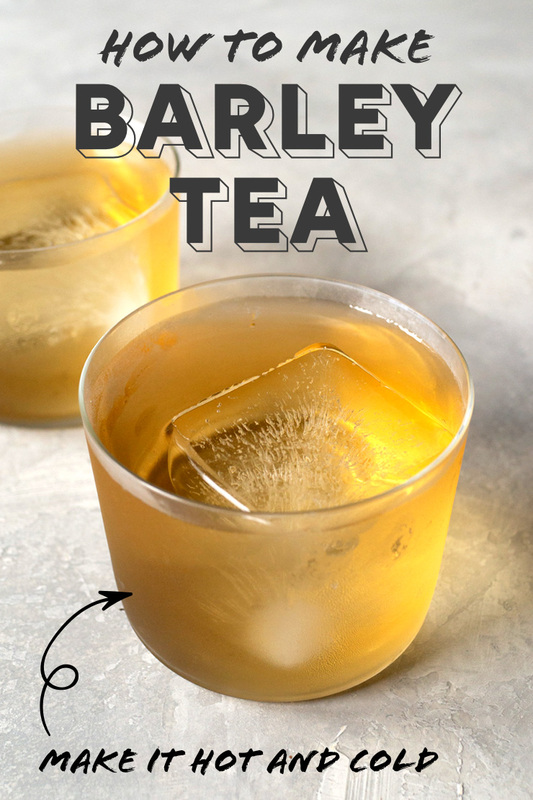 To make iced barley tea, let tea cool for 15-30 minutes and serve in cups over ice. To make hot tea, steep tea bag in 4 cups of hot water for 3-5 minutes. Discard tea bag and serve. 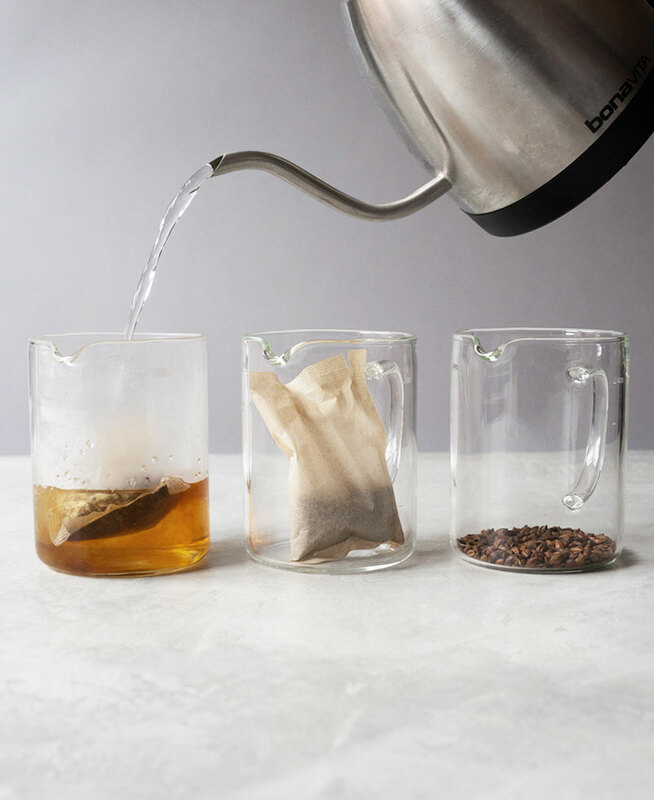 To make cold brewed barley tea, place tea bag in a pitcher of cold or lukewarm water. Refrigerate for 1-2 hours and discard tea bag. Serve with or without ice. Thank you for this post. How to roast barley grains? In my country I don’t think I can find Barley tea bags but can find barley kernels. 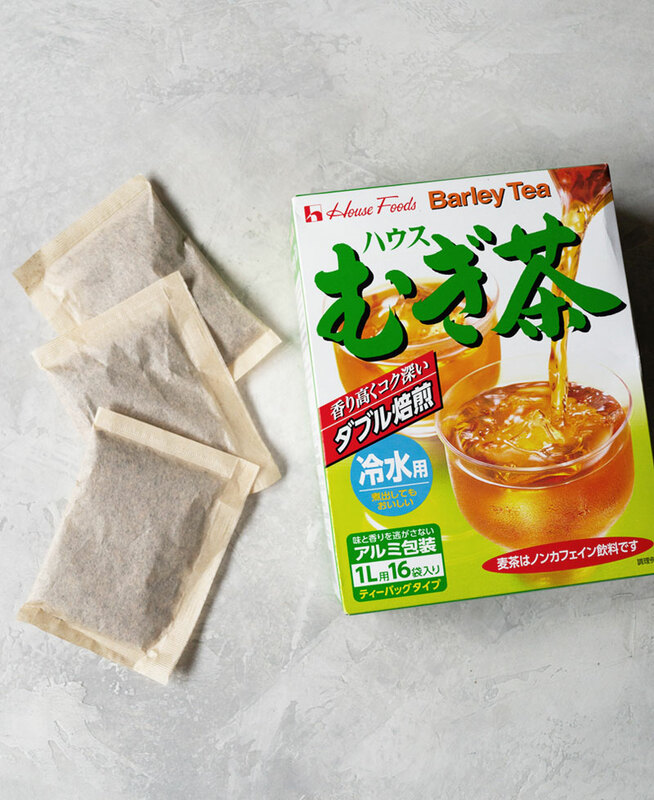 I want to try barley tea. Hi Maxat, I’ve never had to roast barley so I’m not sure I can provide an answer. I would start with toasting barley kernels on the stovetop, dry, for about 5-10 minutes until they brown. A simple popcorn maker is the ideal barley roaster. I use the whole grain Here is the method. How I make my mugachi. The most reasonable barley available to me is pot barley from bulk barn. It is slightly processed to remove most of the hulls, yet retain most of the berry. About 15 grams are used for a cup of finished tea, this is about a heaping tablespoon. I make a liter at a time which is very convenient about five cups. Method: Toast 3 minutes in a sunbeam popcorn maker. Stir while roasting to make homogeneous. The toasted barley is then put in the blender with one liter of water and beat into a slurry. This slurry is placed in a double boiler for steeping about 1.5 hours. This is just below boiling.The pulp and liquid mix well and make a complete drinkable liquid. I might add in the old days people did not have a blender, so my method hopefully improves on the process. This unique process utilized the whole barley grain.